Motorists and commuters in Kano State are experiencing hardship following acute fuel scarcity. Long queues have dotted filling stations. Most filling stations sell above the approved N145; some sell between N180 to N200 per litre. Black marketers sell between N1,000 to N1,200 per gallon instead of N650. Motorists and commuters blamed the scarcity on hoarding, which usually happens during festivities. They urged the Federal Government to do something about it. Fares have also increased from N50 to N100, depending on the distance. 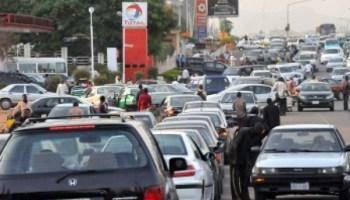 A motorist, Alhaji Popoola, lamented that people sleep at filling stations in search of petrol.